The pencils are stubby, hybrid creatures: part lipstick, part lip gloss, part balm. Compared to lipstick, Patentpolish’s coverage steers sheer, which makes its brighter hues, like a candy-fuchsia and an electric-orange, feel like mere stepping stones to the big league of bold lips. I, of course, prefer the nudes in the collection, especially the neutral brown shade My Flip Side. It’s weird, but Patentpolish sinks down into lips to moisturize but also hovers on top to shine like an inky gloss. It’s the best of several worlds, but even if you can’t decide where to lead your lips, at least you know you won’t lead them wrong with this. 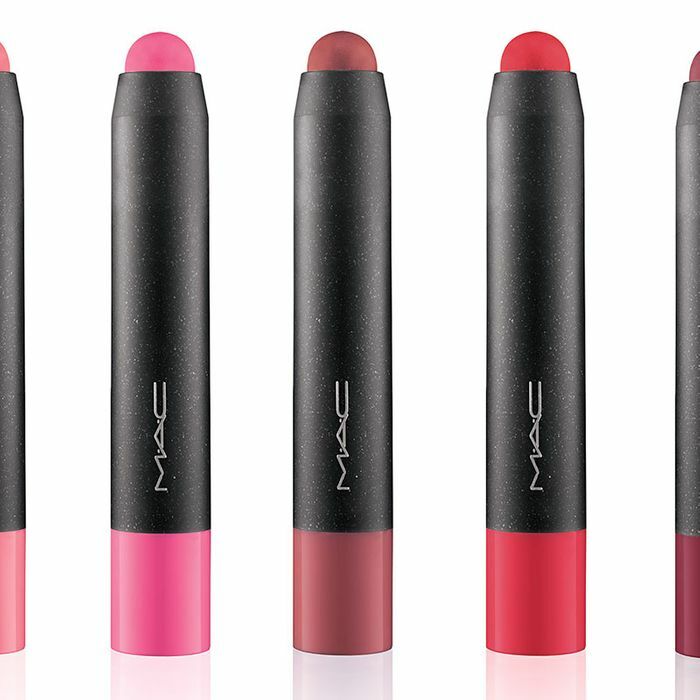 M.A.C Patentpolish Lip Pencil, $20 at Nordstrom.